My previous two posts (here and here) dealt with sculptures on the Physics and Astronomy Building at Western University (UWO) in London, Ont. 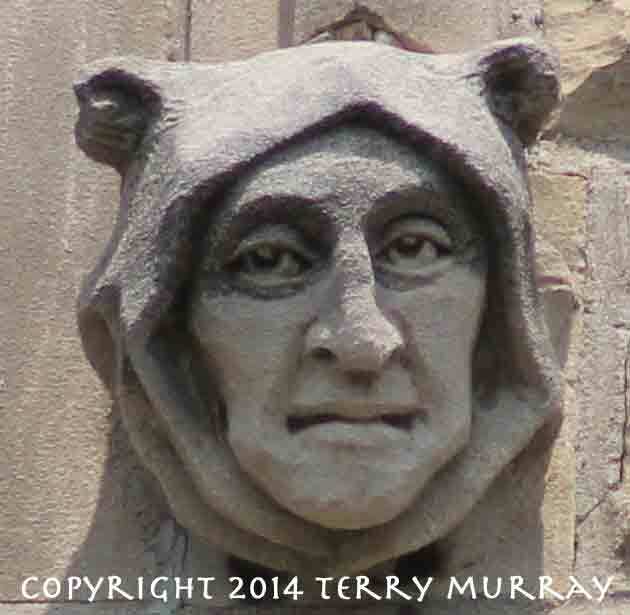 To wind up my coverage of that wonderful building, I thought I’d just post a few of my favourite faces. 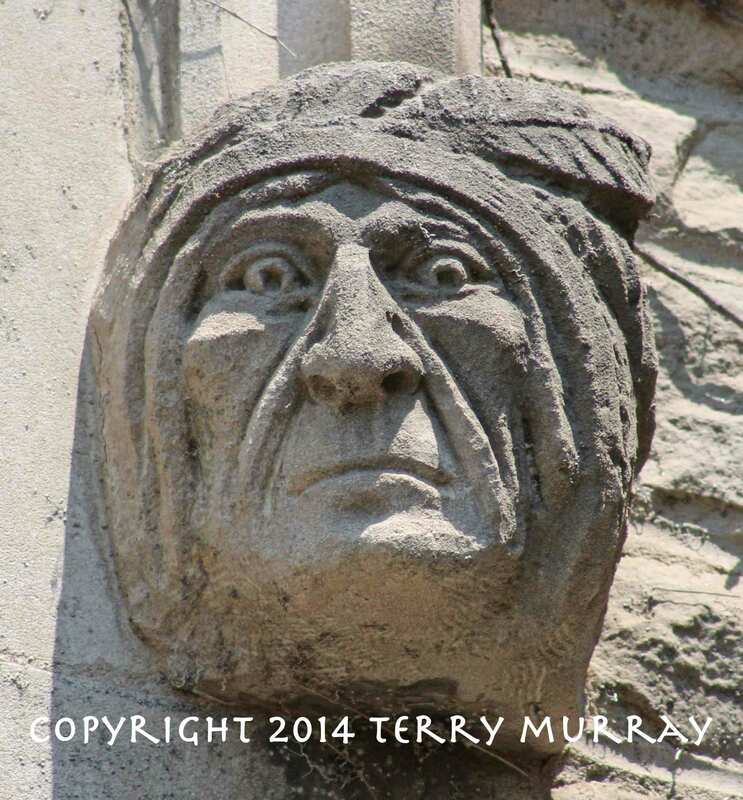 The first is Tecumseh, the Shawnee Indian who was an ally of the British during the War of 1812. Notably, he joined British Major-General Sir Isaac Brock in the Siege of Detroit, forcing the city’s surrender in August 1812. 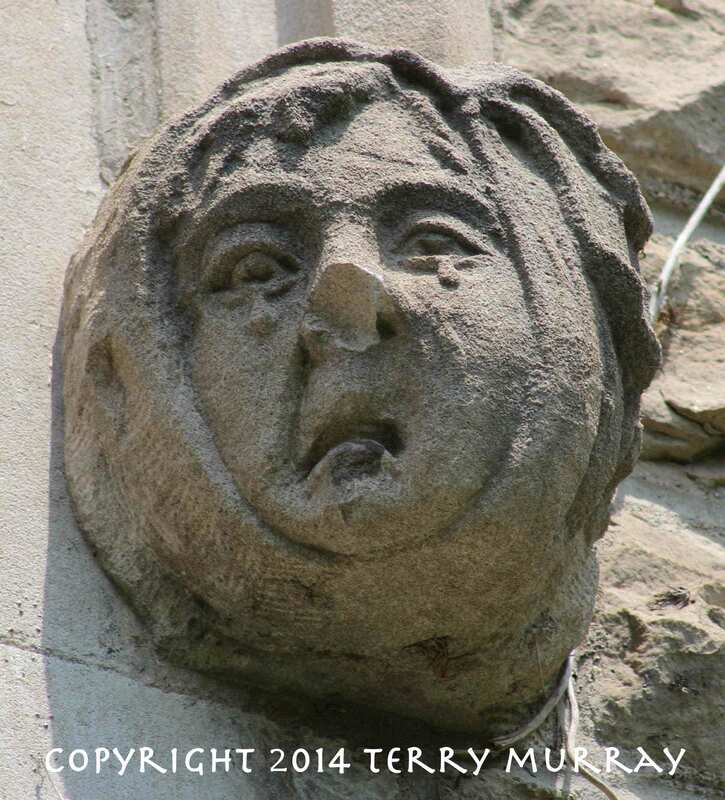 Then there’s this fellow, identified by Don Moorcroft, emeritus professor of physics at UWO, who photographed and identified most of the figures on the building, as “boy with toothache,” who he said was modelled after a magazine advertisement for toothpaste. 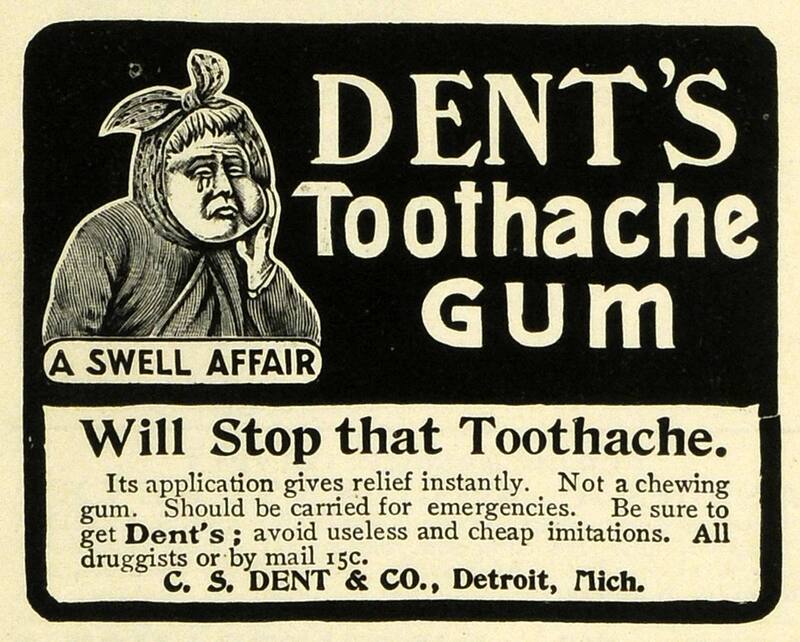 But I think he’s actually the same boy as the one in the ads for Dent’s Toothache Gum. Note the tears in the ad below and the sculpture above. 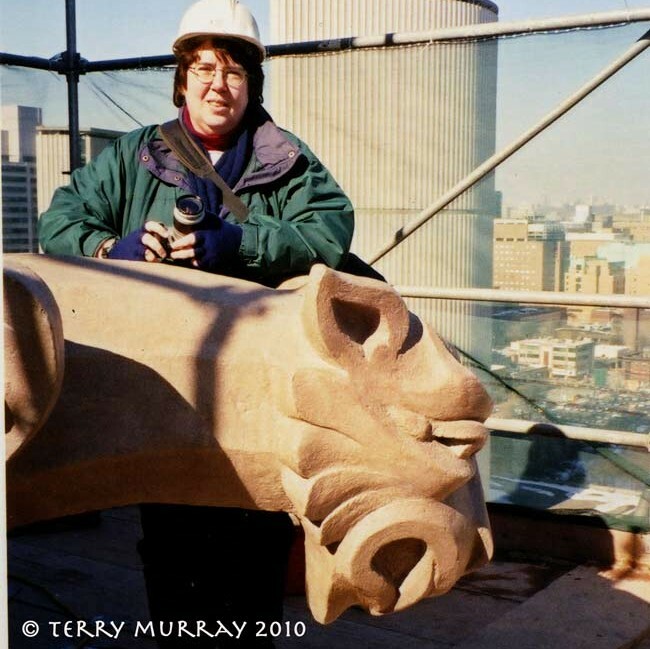 In my next post, I’ll wrap up my very brief trip to London, Ont., with the faces on St. Peter’s Cathedral Basilica.